Kate Jardine is qualified judge (International – Level D) with Freediving agency, AIDA International. 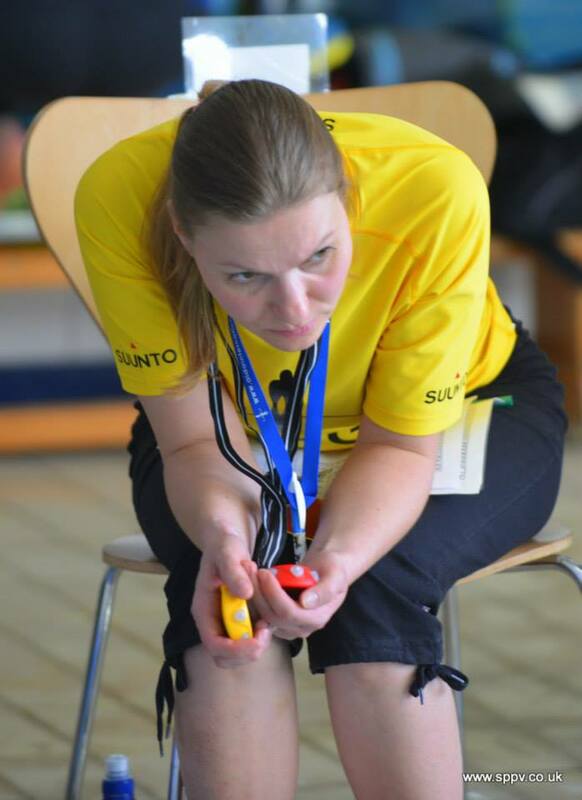 As well as judging at national freediving competitions, Kate also judged at the 2016 Individual AIDA Pool World Championship in Turku, Finland, which closed with not one, not two, but FIVE World Records (Female DNF, Male DNF and 3 x Male DYN). 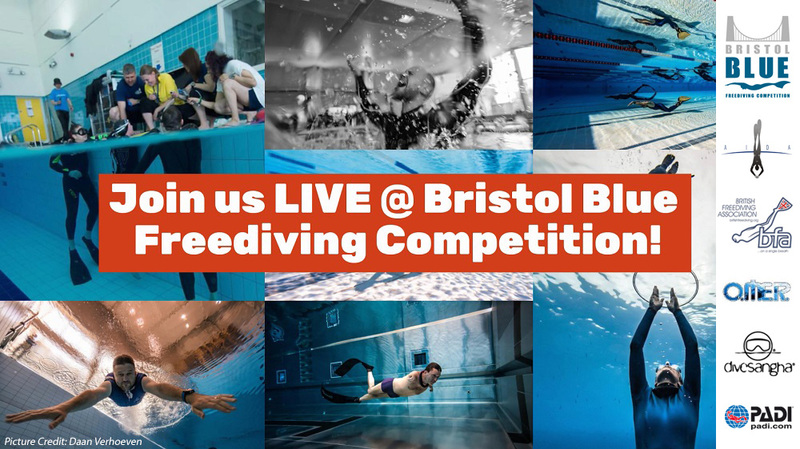 Kate was one of the judges at the Bristol Blue Freediving Competition held on 27th November 2016, which PADI proudly sponsored. 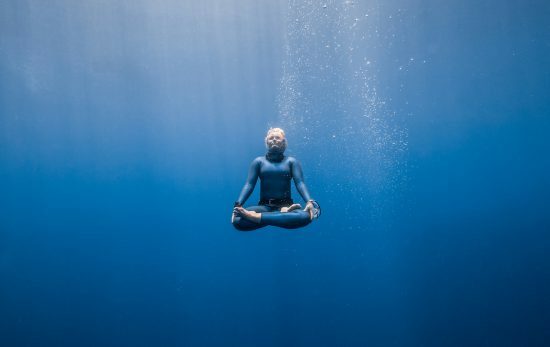 PADI’s Kayleigh Relf caught up with her before the big day to find out more about what it’s like to judge freediving competitions. Freediving for me is a great way to stay active and for meeting up with friends. The freediving community is quite small but I have met so many great people through it, and each competition I judge at I meet more and more. Everybody is really welcoming and encourages everyone else to do well. 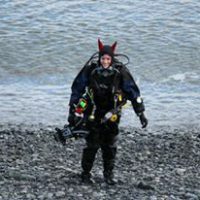 I used to be scared to put my face in water, but I was going on honeymoon to the Maldives and wanted to snorkel to see the fish and explore the underwater world. I went along to Bristol Freedivers and gradually, with their support, became more confident in the water and able to comfortably hold my breath and freedive. The honeymoon in the Maldives was amazing and all the better for being able to explore under the surface of the sea. 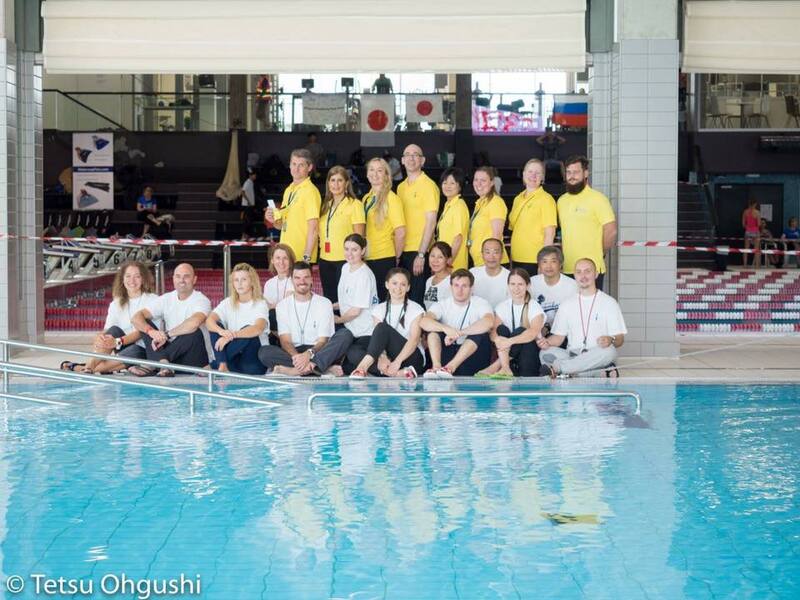 You’re obviously passionate about freediving, but what motivated you to become a judge, and how long have you been an AIDA International Judge? I was never interested in competing but freediving competitions are always a great occasion to bring everyone together and I wanted to be a part of that. There are not huge numbers of judges in the UK so I like being able to help out where I can. I became a judge in 2011 and was promoted to Level D in 2015. To be promoted you need to accumulate a certain number of Judging Points, be recommended to the AIDA Judge Responsible and be approved by the AIDA board. Points are given for each competition and are based on the number of competitors you judge. To move up to Level C and above you need to do more such as being a judge or assistant judge at a world championship or take an AIDA Judge Continuation Education course. What is the role of an AIDA International Judge? The role of the judge is to ensure that the AIDA competition rules are followed and to judge each athlete’s performance. The judges also work closely with the safety team to ensure the safety and wellbeing of the athletes. What are the biggest challenges you face when judging at a freediving competition? The hardest part of judging for me is when you have to give a red card and disqualify an athlete. You have to apply the rule fairly and consistently, but it is not nice when an athlete has trained for that competition and gets disqualified. I always explain why I have given a red card so they hopefully don’t do the same thing again next time. Do you have to complete a freediving qualification in order to compete in a freediving competition? 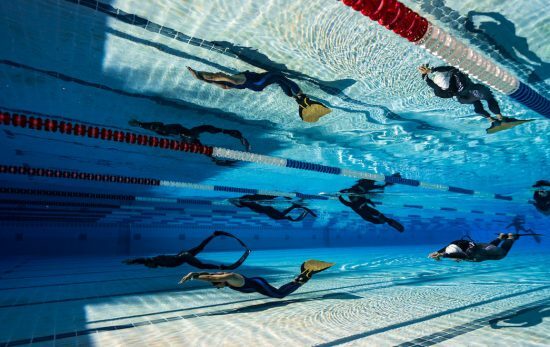 Yes – for an AIDA competition through the British Freediving Association (BFA) we require the AIDA 2* Pool and Theory or equivalent qualification. This helps ensure all athletes have an understanding of safety and their limits. Tell me about your biggest ‘Wow!’ moment whilst judging? At the 2016 Pool World Championships in Finland I was judging Alexander Bubenchikov in the men’s Dynamic Final. He broke the world record diving 289m……but was then beaten by two athletes who each dived 300m! Amazing to break the world record and only get a Bronze medal! He was so happy afterwards even though his World Record only stood for a few seconds. Where do you want to judge most, and why? I have made so many friends through freediving that there are lots of destinations where I would love to combine judging and meeting up with friends. As a location it would be amazing to judge at the Blue Hole in the Bahamas or meeting up with freedive friends in Bonaire or Japan. Or anywhere where the water is clear and warm! Any tips on how to become an AIDA judge? To become a judge you need to complete an AIDA Judge course. I would also recommend you watch some competitions to understand how it all works and comes together. Organisers are always looking for volunteers so you can support at competitions by being a Judge’s assistant or videographer and having a front row seat. It is great experience without the pressure of being an official judge. If you had to give advice to new freedivers what would it be? 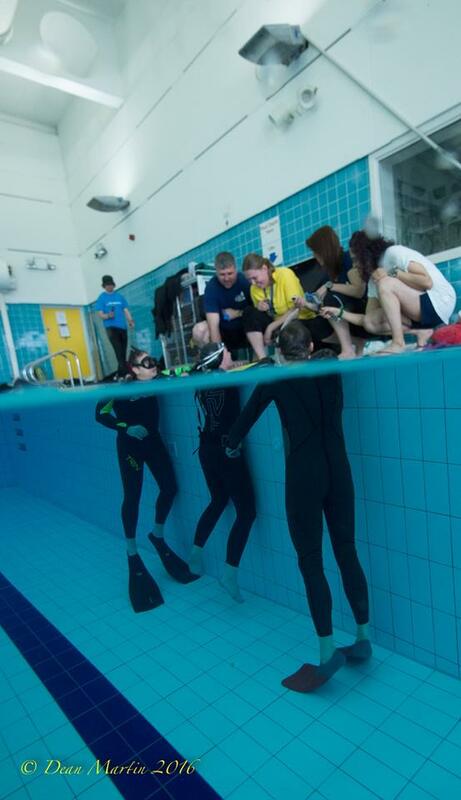 Always start by completing a freediving course with a qualified instructor and join a club if you can. You can find all the clubs in the UK on the BFA website. The golden rule is to never freedive alone. Have fun!